With peanuts being banned from most schools the best time to serve heart healthy peanut butter is afterschool. 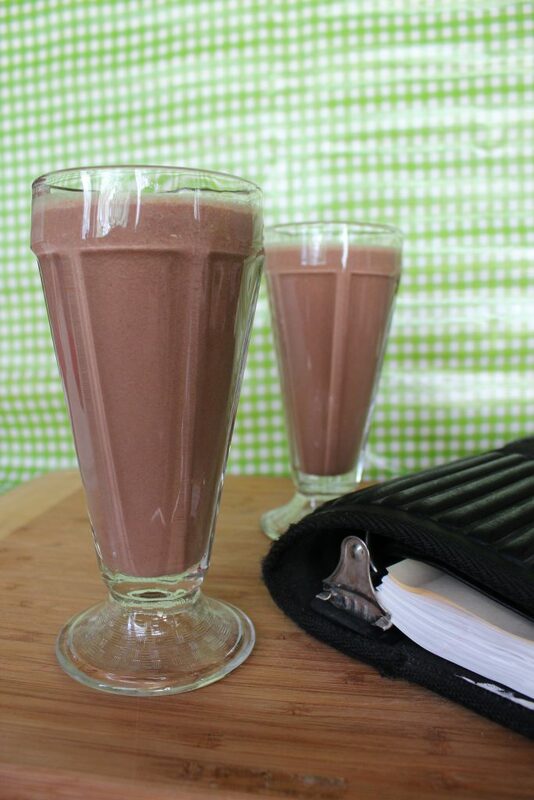 Here’s a great after school snack for you and your kids, this smoothie is loaded with good for you ingredients like skim milk, natural cocoa powder, bananas, and good old reliable PB. Get your kids to make it themselves – empowering your children in the kitchen by teaching them how to cook is a life skill worth cultivating. Whirl everything in a blender. Divide equally between two glasses. Depending on how big the bananas are, if they were frozen, how much ice you added, and how powerful your blender is this will make up to 3 cups (750 mL). From a calorie stand point – it still needs to be divided into 2 servings. Enjoy. The next time you have overripe bananas on your kitchen counter, jump for joy. They are a concentrated form of natural sweetness. Peel overripe bananas, break into small chunks, drop into a freezer safe bag or container and put them into your freezer. Add these frozen chunks to blender drinks. They help freeze the drink, add sweetness, as well as add that all important potassium. As much as I would love you to use natural peanut butter, I am sure most of you don’t so, for the non-natural peanut butter people, the brand you’re using probably has sugar in it. Check the label, if it does, skip the added honey or sweetener of your choice. The peanut butter is probably sweet enough without the added carbs and sugars from the honey. I find that adding this to a smoothie adds extra protein and calcium, plus it makes the drink thicker. You can find skim milk powder where they sell the canned milk in most grocery stores.